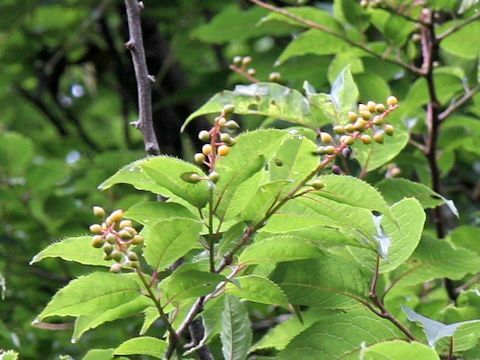 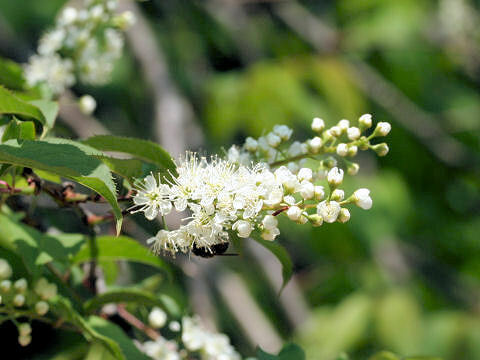 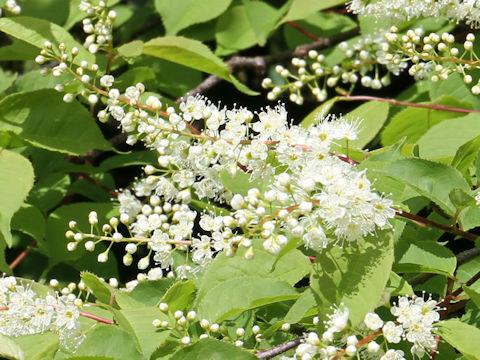 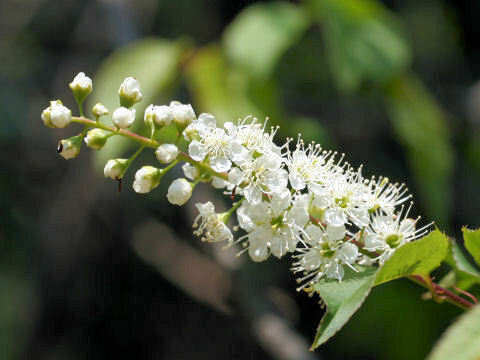 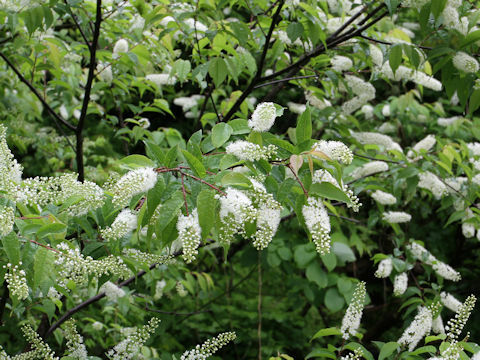 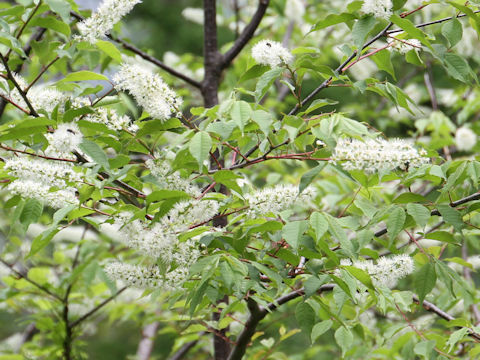 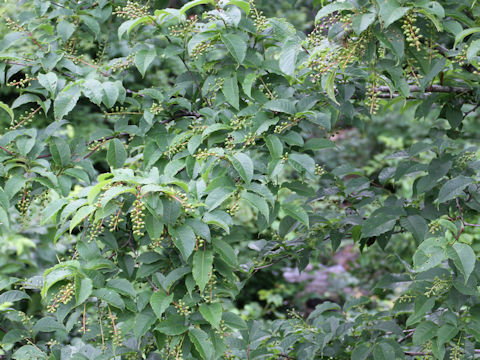 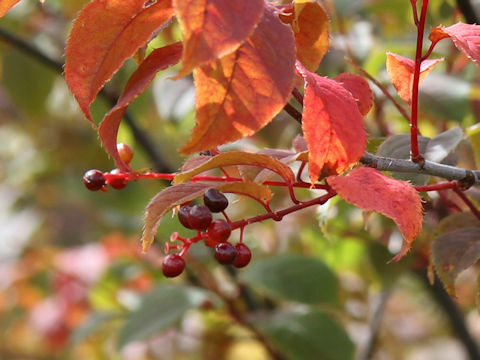 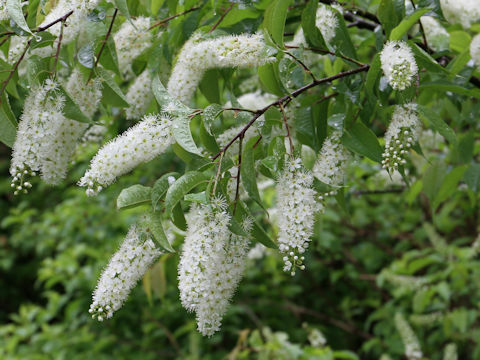 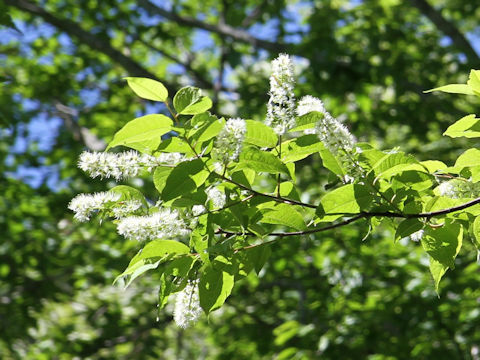 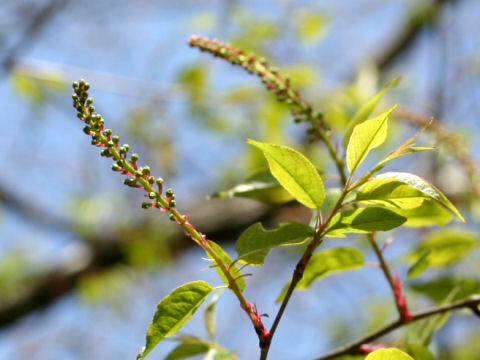 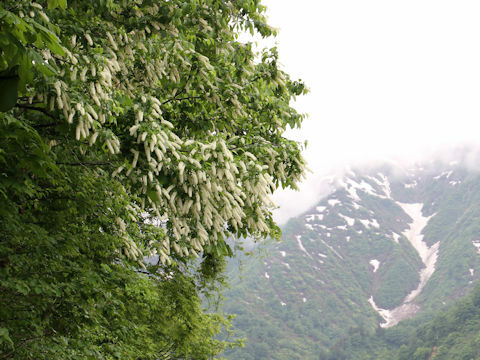 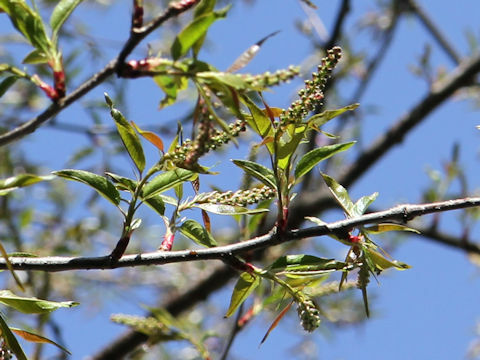 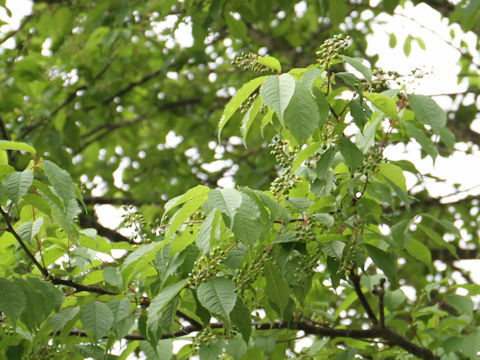 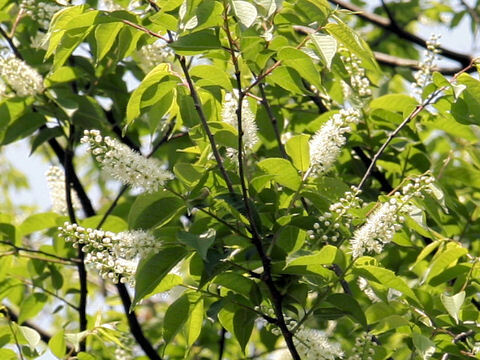 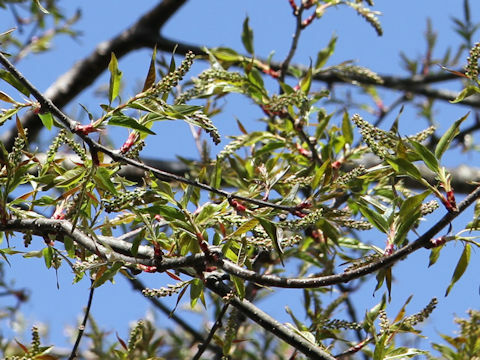 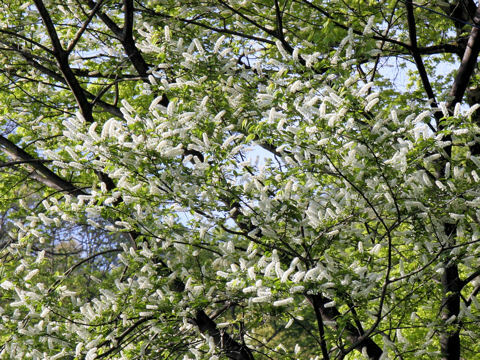 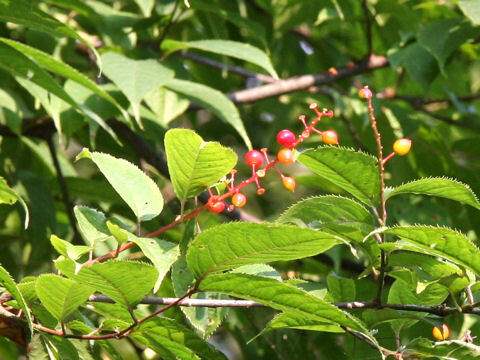 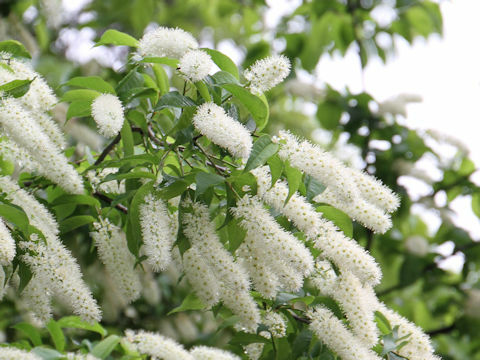 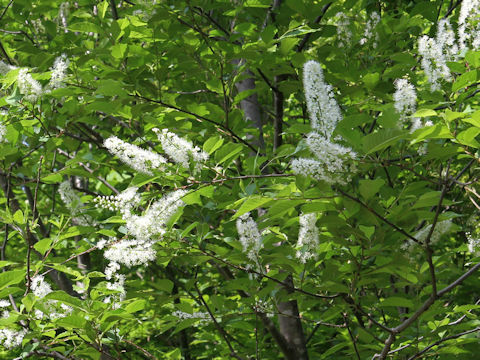 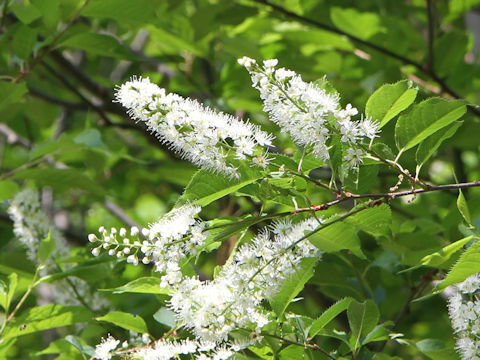 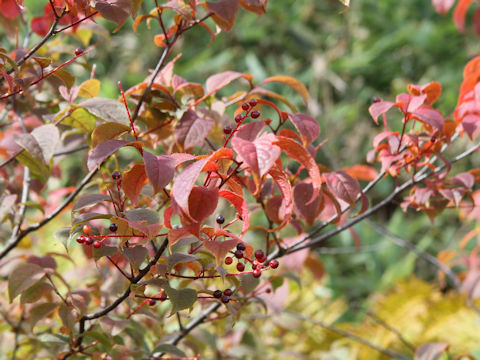 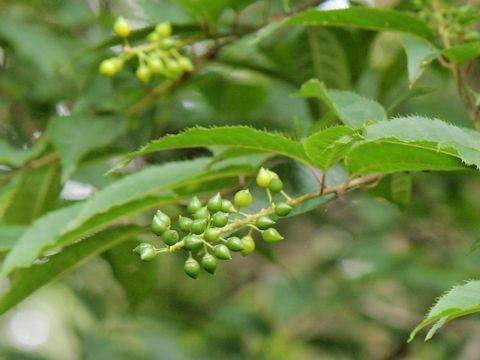 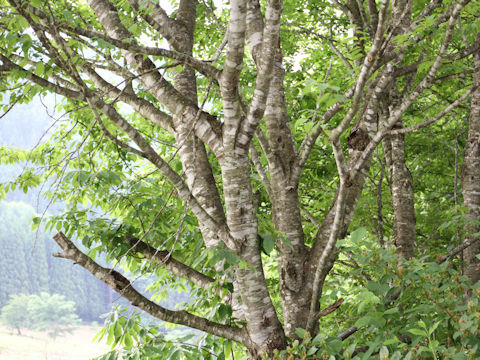 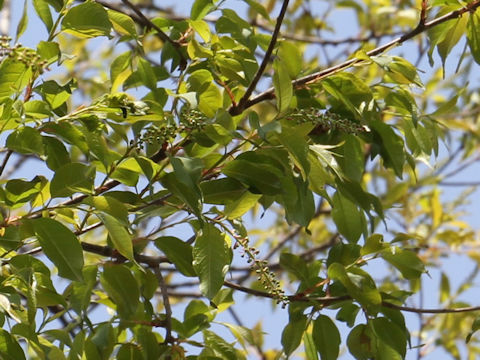 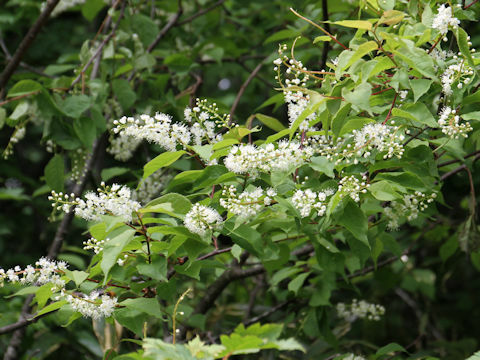 Japanese bird cherry (Prunus grayana) belongs to the Rosaceae (the Rose family). 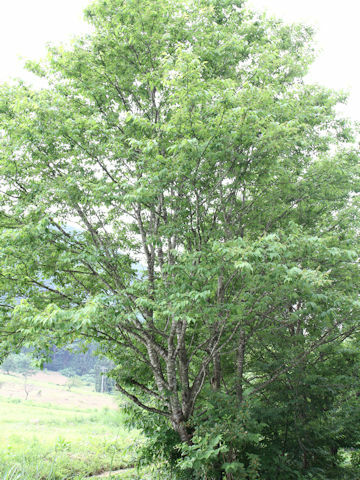 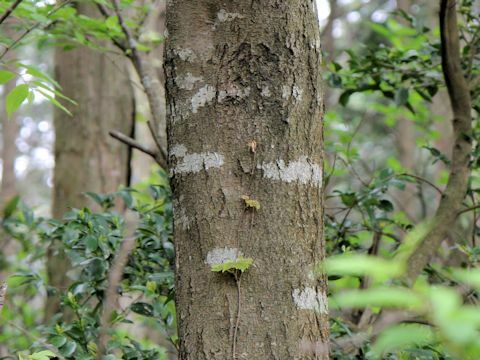 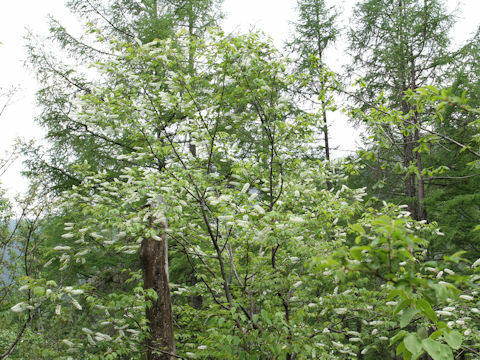 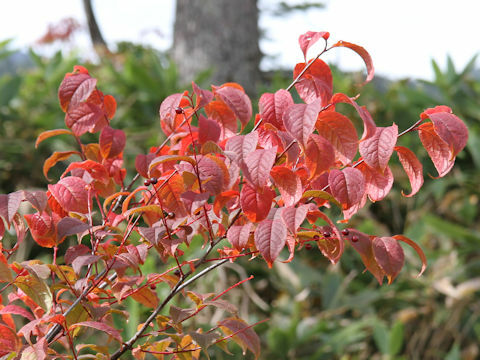 It is a tall deciduous tree that is distributed southward from southern Hokkaido to Honshu, Shikoku, Kyushu of Japan and central China. 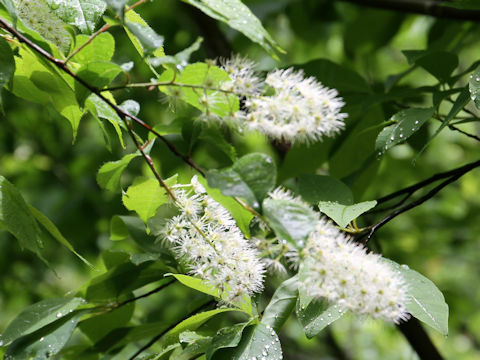 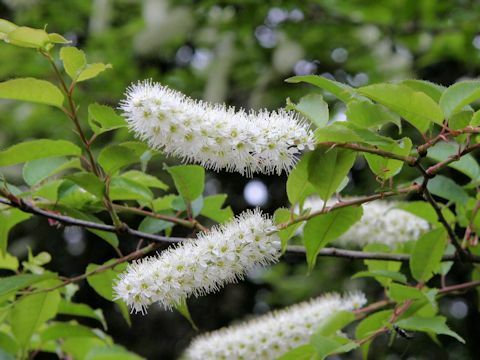 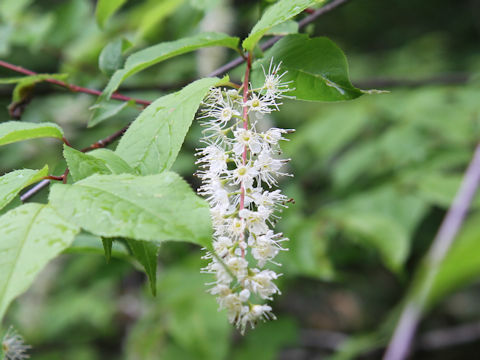 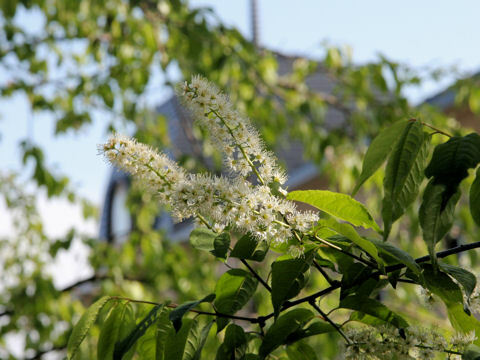 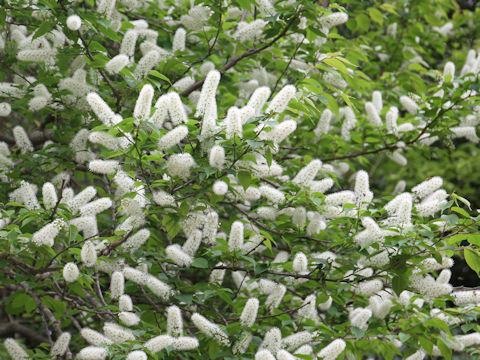 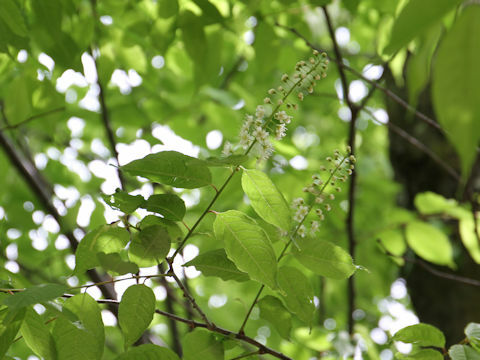 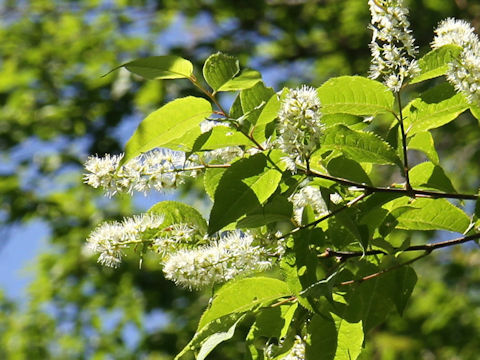 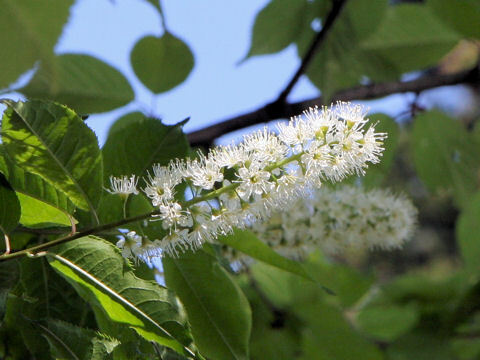 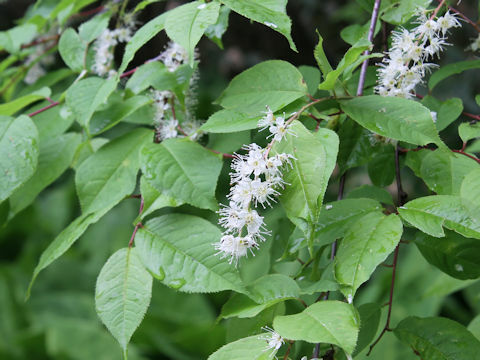 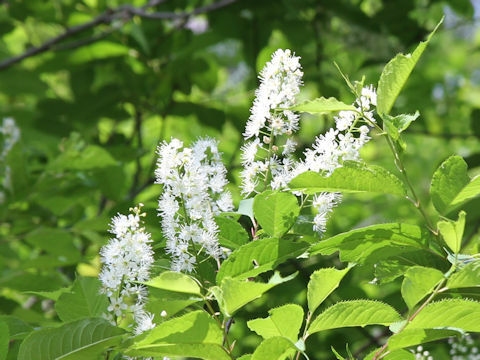 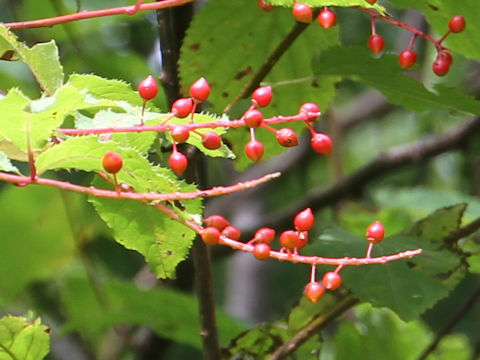 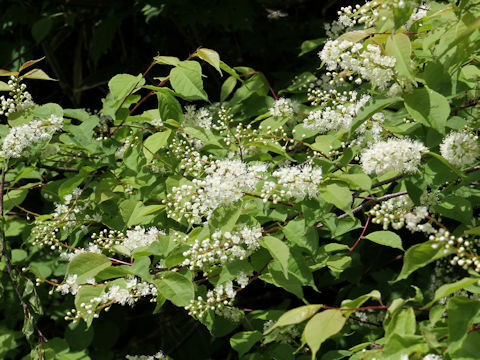 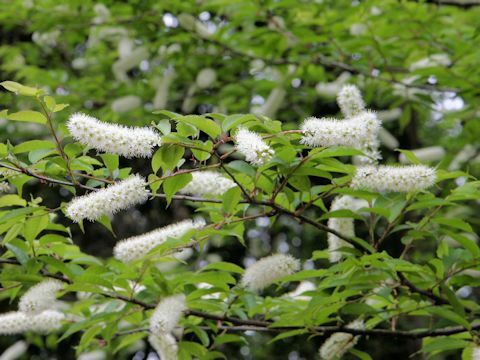 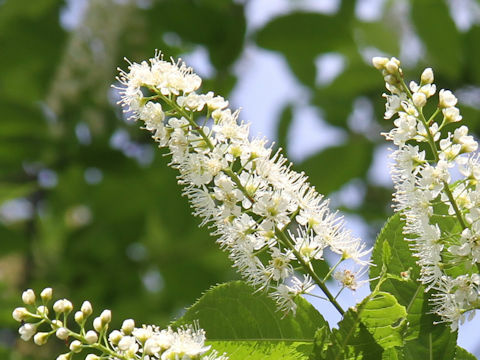 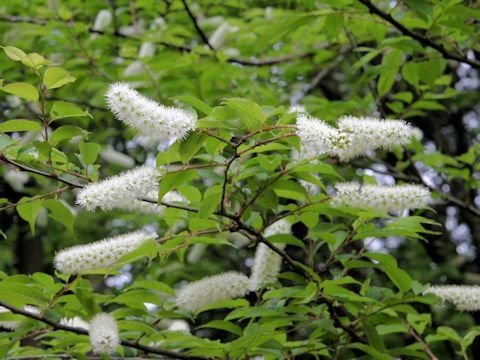 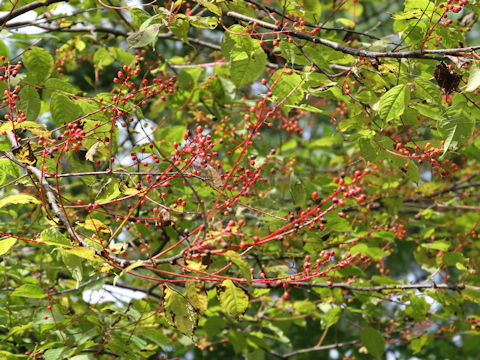 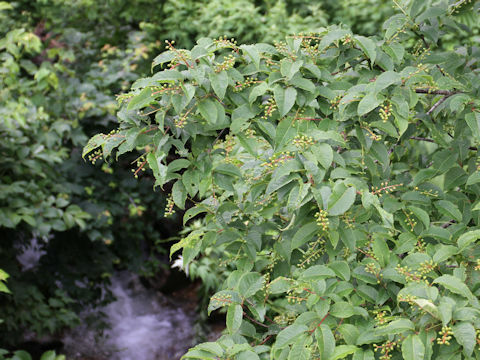 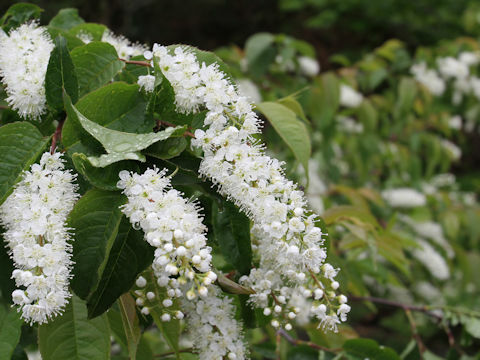 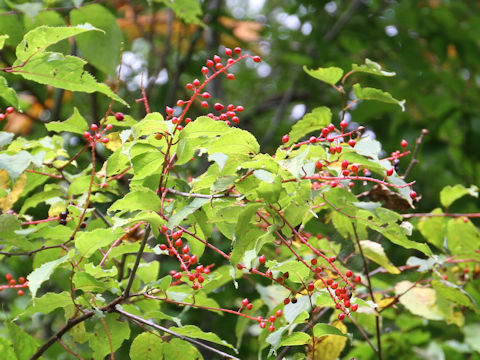 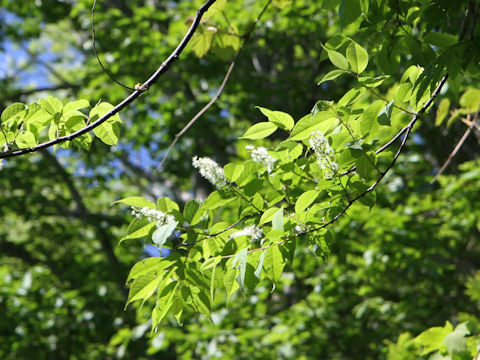 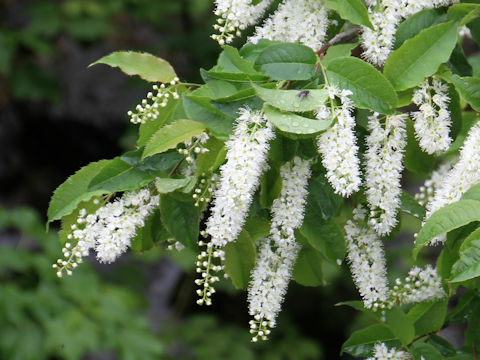 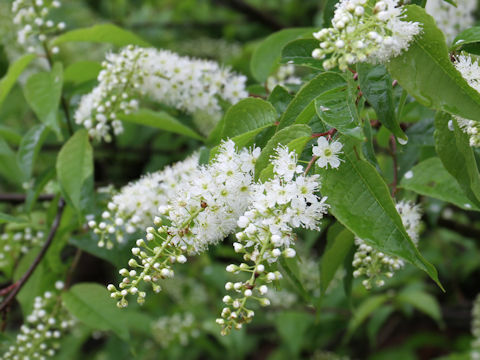 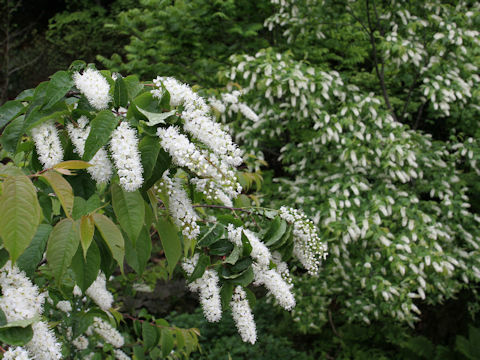 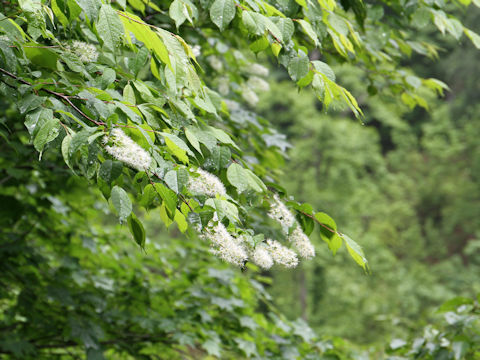 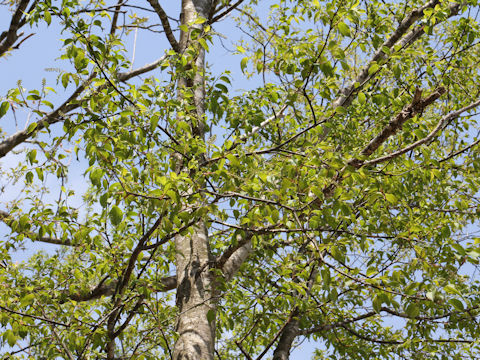 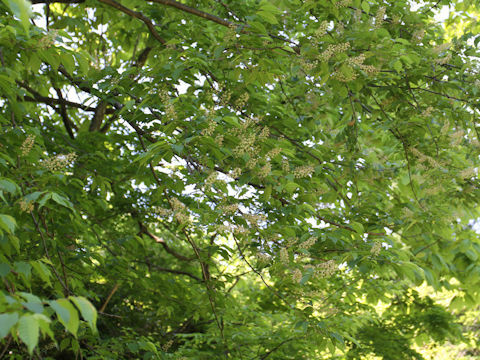 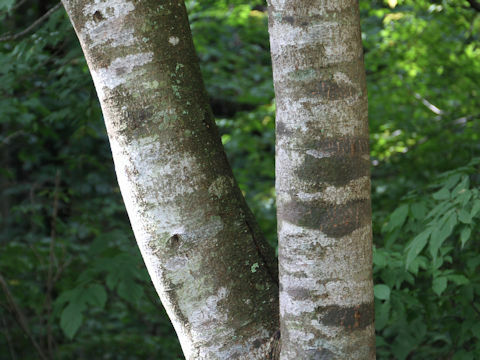 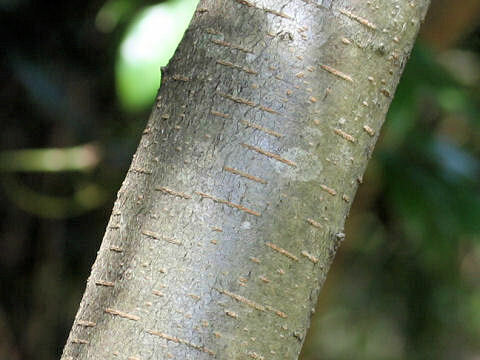 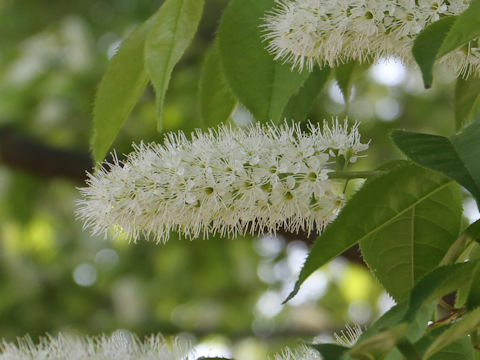 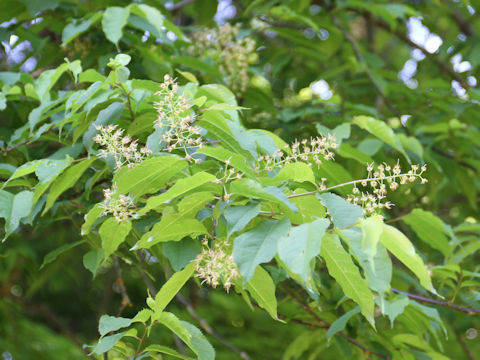 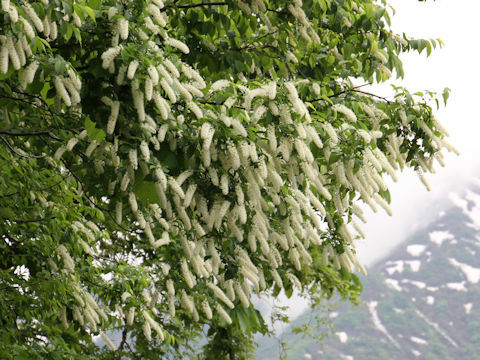 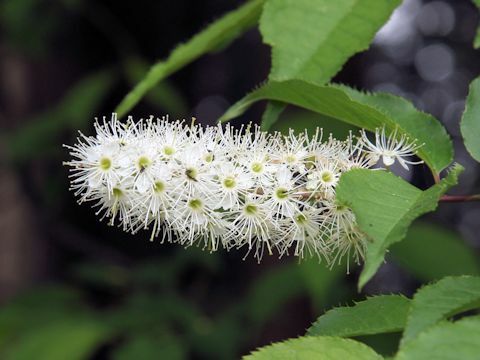 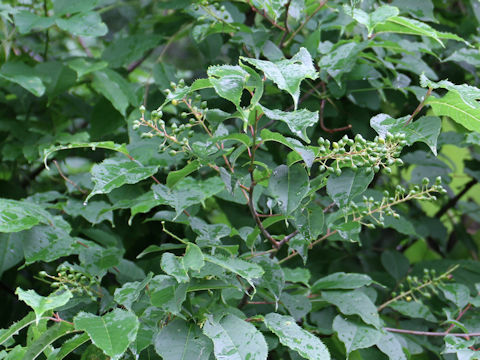 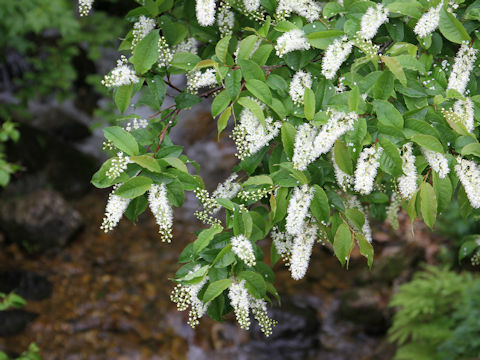 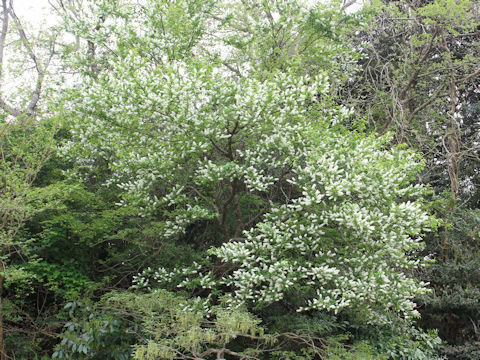 This tree grows in sunny dales or slopes along streams and can reach 15-20 m in height. 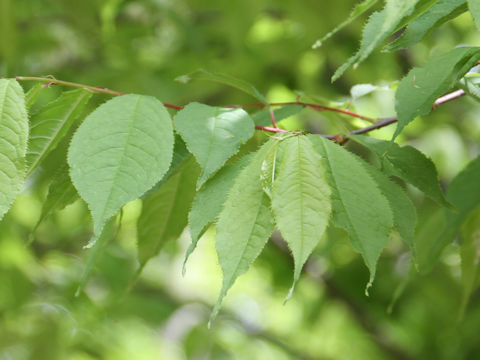 The leaves are ovate to ovate-oblong and alternate with round bases and fine acute toothed edges. 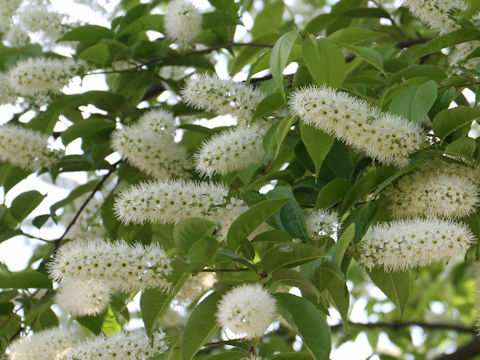 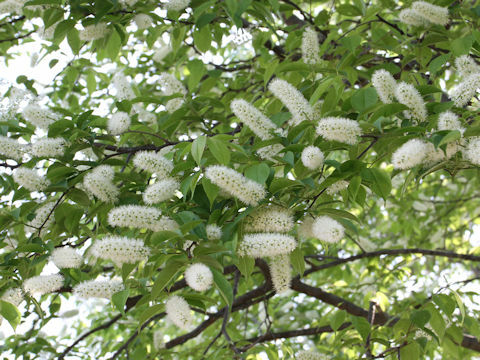 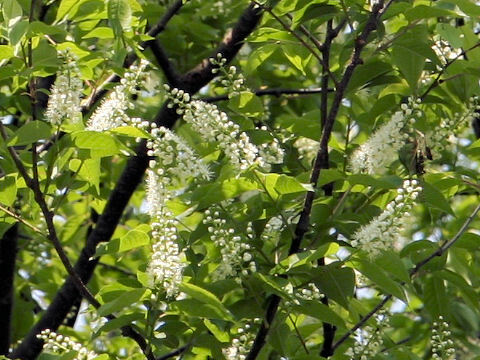 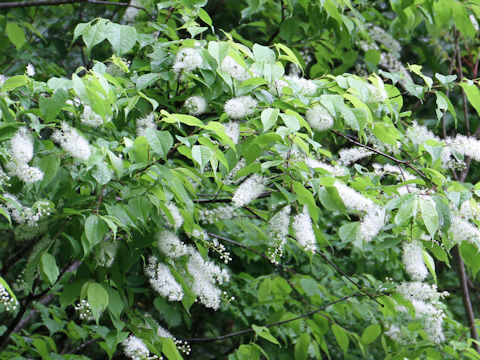 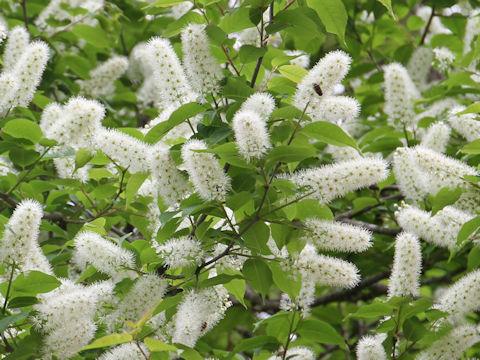 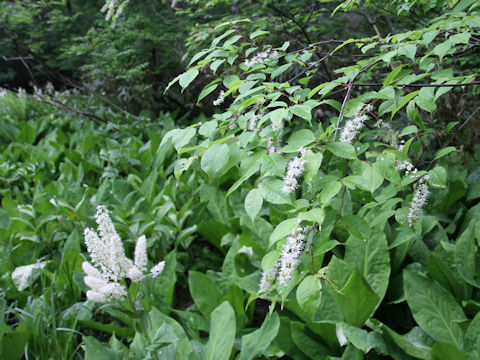 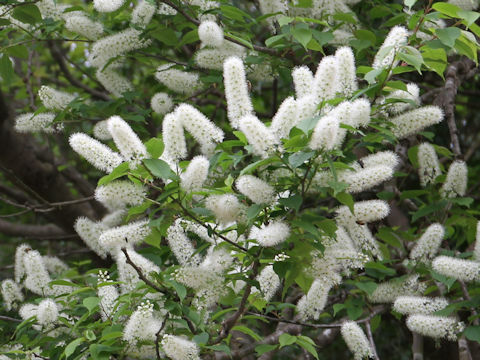 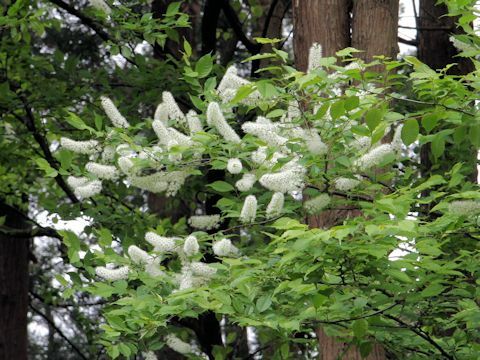 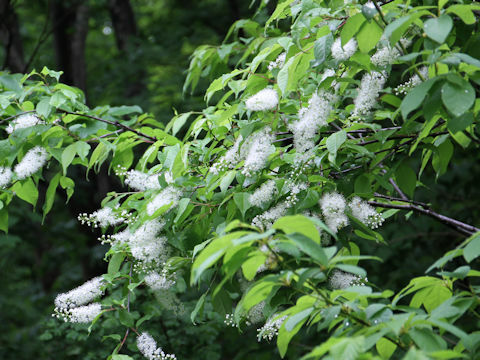 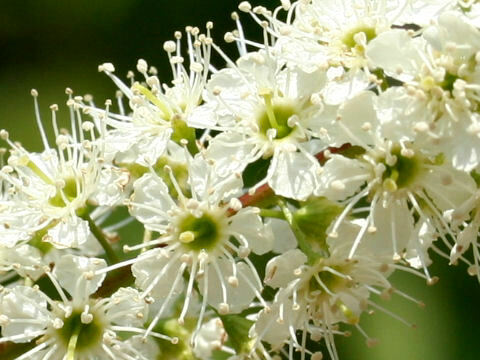 The brush-like racemes are borne and bloom small white flowers from April to May. 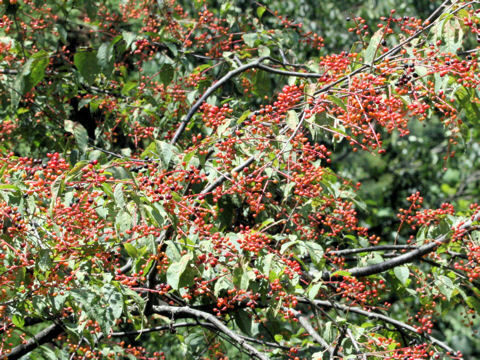 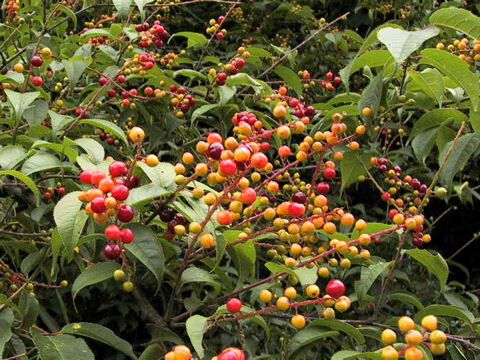 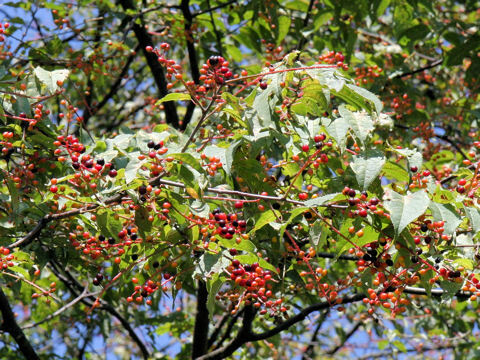 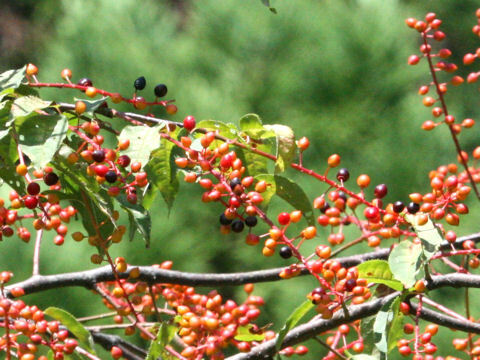 The fruits are edible drupes and ripen red to blackish purple in August. 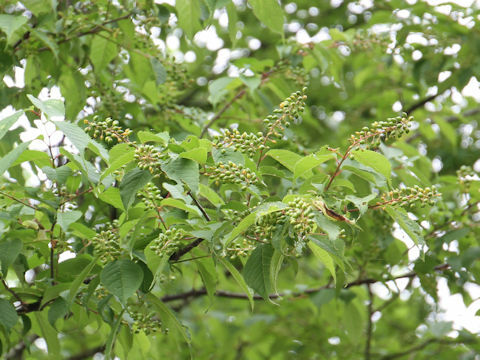 The buds and young fruits are pickles with salt in several regions of Japan.